IT IS HUMAN NATURE TO BE PULLED OFF COURSE IF THERE IS A PROMISE THAT THE OFF-COURSE LEADS TO WONDERMENT. 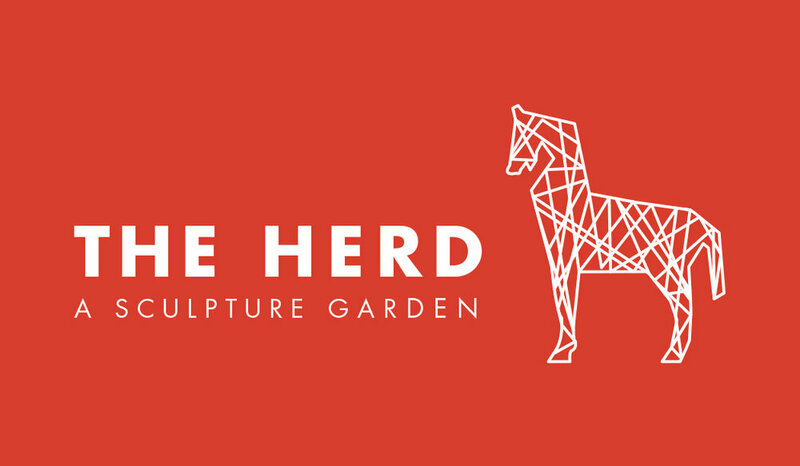 DESIGN Through two screens demarking the sculpture garden one sees a panoramic view of the garden: an expanse of prairie; undulating grasses through which sculpted horses – the herd – are depicted in different states of motion and rest. A promise of escape from the confines of the city encourages the visitor to experience the feeling of a wide, open, expanse which is the essence of the prairie. Paths through the prairiescape invite adventure to explore each horse sculpture, walk through the grasses feeling the seed tips, and find respite in one of the seating niches carved into the landscape. The garden, designed to instantaneously transcend the urban visitor into an accidental tourist who finds one’s self in a prairie, can itself transcend into a community performance space as the steps into the garden become seats for an amphitheater, the open space used for staging, and the sculpture garden the backdrop. The landscape is selected for its specific response to the seasonal changes. This design feature provides constant motion through rolling terrain, the movement of the grasses, and the changing landscape through the seasons. A visitor to The Herd experiences a view with subtle to extreme differences on each visit. SCULPTURE AND POETRY Each of the horse sculptures is to be commissioned by local artists who are tasked with bringing to life the motion, strength, power, beauty, and spirit of ma through re-sourced materials. The sculptures must work in harmony. For, a herd is not merely a collection of horses, but a community of horses which interconnect in motion and spirit and are bound together by the sustenance offered by the prairie. While the sculpture garden is designed to stir the spirit of those who visit, poetry will memorialize the spirit of poets stirred by horse, herd, or prairie. Poetry selected for the garden will be inscribed on plaques placed throughout the garden. SUSTAINABILITY Consistent with the landscape architect’s personal and professional philosophy, materials for each of his projects are limited to that which is reclaimed, indigenous, and sustainable. The plan specifies permeable pathways and performance space using reclaimed and re-sourced materials such as crushed concrete. Gabions are constructed with reclaimed concrete and used for retaining walls, amphitheater steps, and fill for the berms creating the undulating landscape. Seating niches are furnished with benches and fashioned from repurposed wood and steel. The landscape is entirely native and selected to thrive under normal climate conditions with additional irrigation provided from captured rainwater. He knows when you’re happy. He knows when you’re comfortable. He knows when you’re confident.